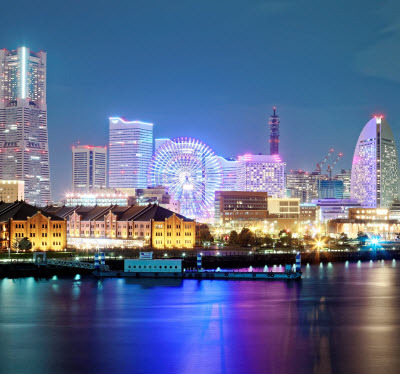 Creative Group’s seasoned sourcing experts have put together a list of the Top 10 international destinations that are ideal for a group incentive. These destinations have been chosen because of their unique position to provide a wide variety of activities and landscapes within a single, or nearby locations. They are perfect for any group because there is something to please a variety of interests and activity levels. Some incentive program owners select a destination based on where they, themselves, want to go. Others, alternate between a “Fun and Sun” location one year and an “Arts and Culture” destination the next. We’d like to suggest that more thought be put into the destination you ultimately select to truly motivate your audience for an entire year. Respondents to the 2018 SITE Index Study agree, stating that destination appeal to the participant audience is the single most important consideration when selecting a destination. Strategic communication is crucial in the announcement and promotion of your incentive program, including the reveal of the winner’s travel destination. It goes without saying that the more the destination has to offer, the greater the buy-in and, the easier the communication. 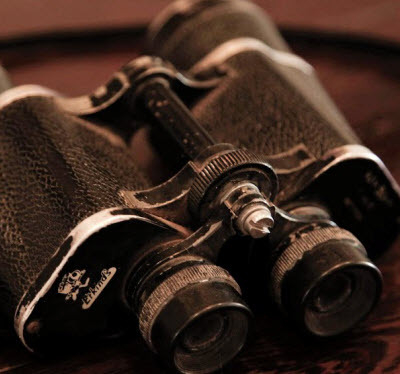 All of our listed destinations will help you provide the ultimate i|xperience® for your star achievers; ensuring your audience is inspired, intrigued, influenced, impressed, interrupted and immersed. Let’s take a look at the 10 destinations selected by our team of experts. They are ordered based on what they have to offer for your group and are indicated by the icons below. 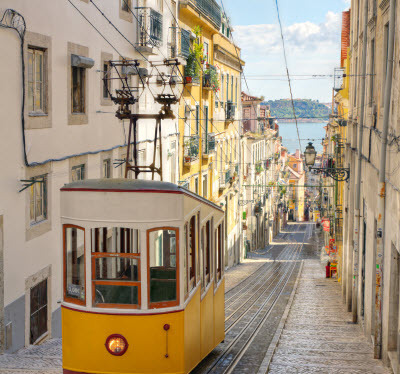 Let’s start with the highest ranked destination, Portugal. There’s really nothing this destination is missing. 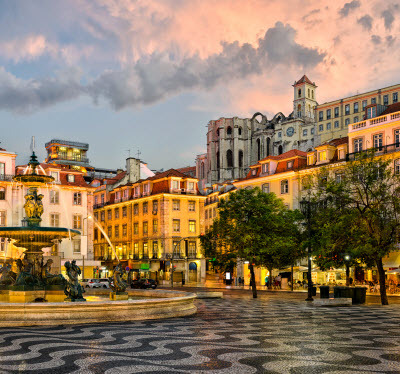 Portugal is currently one of the most affordable European destinations; an even better value than some U.S. and Caribbean destinations. The name alone sparks interest and intrigue. Mountainous, deeply gouged cliffs and lush, steep valleys set the stage for a one-of-a-kind trip. 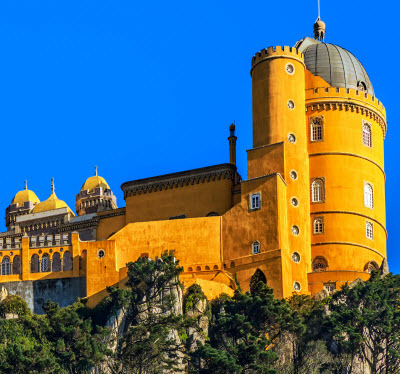 Portugal delivers something for everyone: toboggan rides, climbing excursions, paragliding, jeep safaris and trekking. Exclusive golf resorts, medieval hilltop towns, sun-drenched beaches and breathtaking islands make up the wonder that is Portugal. The world’s top producer of wine corks, Portugal doesn’t lack when it comes to offering exquisite wineries either. Intimate river cruises and larger cruise ships can both be accommodated in Europe’s extreme southwestern point. Recommended Travel Dates: Weather is ideal in May and June. 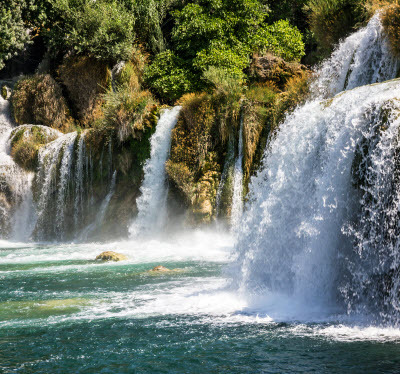 Croatia is a lesser-known untapped treasure with sweeping coastal views of the Adriatic Sea. It’s the perfect mix of “Fun and Sun” and “Arts and Culture,” making it our number two pick. 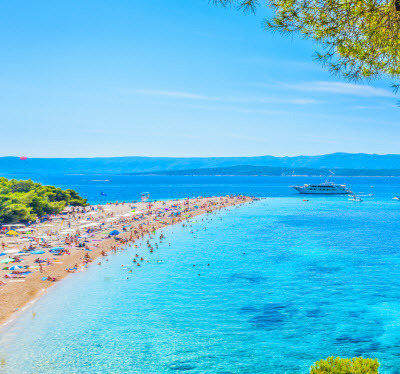 From vibrant, cultural cities such as the capital, Zagreb, to ancient walled towns, to the thousands of islands that dot the coastline, Croatia is a “glittering jewel” as recognized by Lonely Planet. 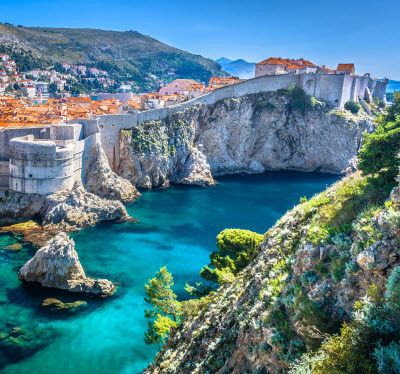 Croatia is like Portugal in that you can cruise the Mediterranean with a stop in the historical city Dubrovnik, or take a river cruise along the Danube. Truffle hunting might appeal to the foodie-types, while the adventurers will be drawn to beautiful national parks boasting tumbling waterfalls and crystalline lakes. If Croatia hasn’t been on your radar, it should be now. Recommended Travel Dates: If you’re coming to enjoy the sun, the warm summer months will be best; but there’s plenty of exploring to do in spring and autumn too. 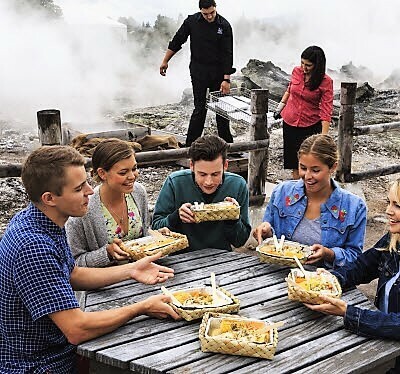 An incentive travel group that has been everywhere and seen everything might be ready for this South American adventure. While there are some opportunities for fun in the sun, the destination is probably a better fit for an active group. The country’s capital city, Lima, is an urban destination with rich history and contradictory architecture. 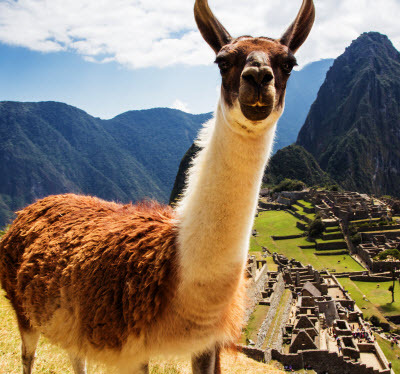 A visit to Peru wouldn’t be complete without a trip to Machu Picchu, its most famous archeological treasure. Air lift can be a challenge from U.S. gateway cities, with flights arriving late in the evening, and continuing by train; but all the travel is part of the experience. 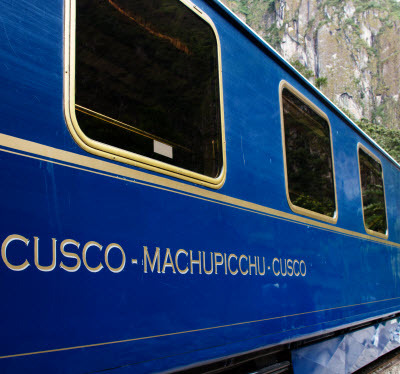 In fact, J. Walter Thompson reports that “train travel is poised for an upgrade in 2017 and beyond.” The Belmond Andean Explorer, a luxury sleeper train, “promises to be every bit as inspiring as your off-board moments of discovery.” And it’s all well worth it once you arrive at the Incan citadel of Machu Picchu. If you select this destination, you can guarantee your participants will never forget visiting a UNESCO World Heritage site and a New World Wonder. 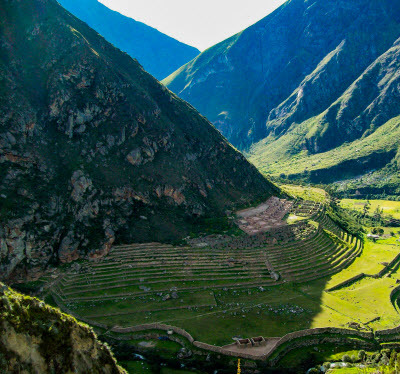 And, as a budget bonus, Peru offers a tax rebate for groups. Recommended Travel Dates: Traveling during dry season (April through October) will help give you the best views of Machu Picchu. Specifically June through August is best. Note that the trails are closed for maintenance in February. 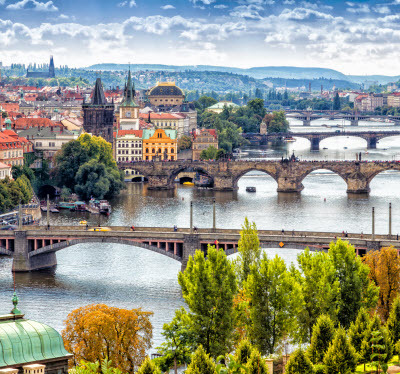 About as centrally located as you can be in Europe, the Czech Republic offers a wide array of art, culinary, and cultural experiences specifically in its capital and largest city – Prague. A UNESCO World Heritage Site since 1992, Prague is known as a fairy tale city. 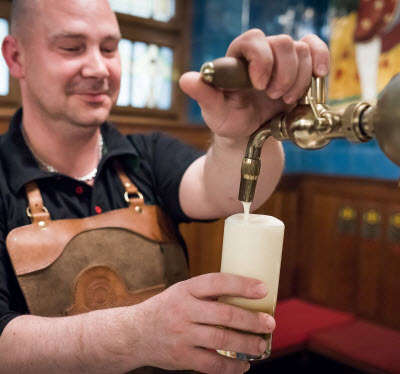 According to travel destination resource, Travel-42, “although the city embraces innovation, Prague’s old-world appeal has been steadfastly preserved. 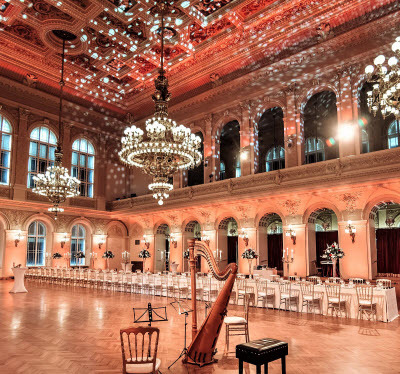 Thick river fogs, arched stone bridges, mysteriously lit alleyways and other charming scenes linger around almost every corner.” And while a group could spend an entire 5-6 days in Prague alone, we selected it for its proximity to other stunning destinations, namely Vienna and Budapest. Continuing with the luxury train trend, private trains are available to transport your group from Prague to Vienna, and if they are more the river-cruise-type, they won’t be disappointed with the scenery traversing the Danube River to Budapest. Recommended Travel Dates: Though many tourists flood Prague year-round, travelling during spring and autumn will help you avoid some of them. A little closer to home, Canada offers some amazing split destination options. An adventurous group of outdoor enthusiasts would be constantly entertained on a program split between Vancouver and Whistler, British Columbia. Go from mild-to-wild on a suspension bridge outside the waterfront city of Vancouver, to glacier tours explored via helicopter in the Whistler mountains less than two hours away from Vancouver. Consistently ranked as the number-one mountain resort area in North America, Whistler is sure to please even the most discerning crowd. 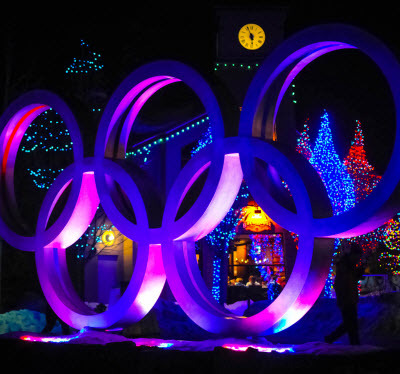 And according to the New York Times, “Vancouver is Manhattan with mountains.” The activity combinations are endless; from shopping and winery hopping to bobsledding an Olympic course. There’s one thing your incentive group won’t be: Bored. Within the eastern provinces of Canada, lies another treasure worth mentioning: Montréal. 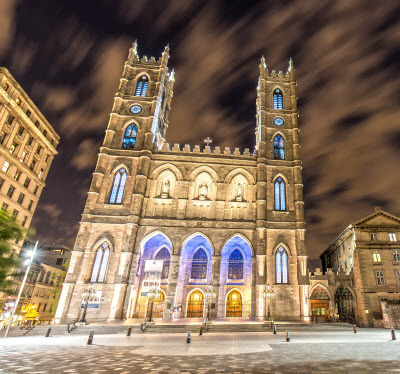 It’s rich European feel, but closer to home, makes Montréal an ideal destination for the international group on a budget. Not to mention, it’s is ranked one of the safest cities in the world. An eclectic island city that favors style and elegance coupled with old world charm, the past and the present live happily in harmony in Montréal. Recommended Travel Dates: Ideal for groups in January-March if they are looking to ski, or July/August for summer programs. South Africa is the ultimate combination of refined and raw; where guests can enjoy one of the world’s most cosmopolitan cities, and the next morning watch lions stalk their prey. Splitting time between the picturesque Cape Town and the rustic bush region of South Africa will leave all attendees in awe. Nestled between the Atlantic Ocean and Table Mountain, Cape Town, is a thriving waterfront harbor and the urban center of South Africa. Its sophisticated European flare adds a unique modern vibe to the oldest city in South Africa. 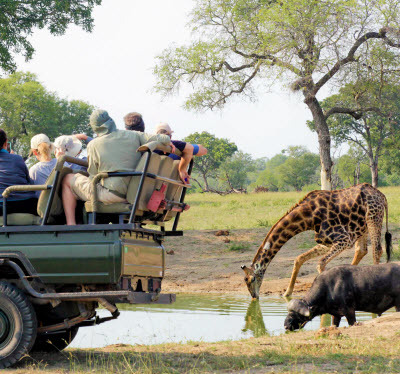 If you want both first-rate wildlife and a first-rate lodging/dining/guiding experience, no other country even remotely compares to what South Africa offers. 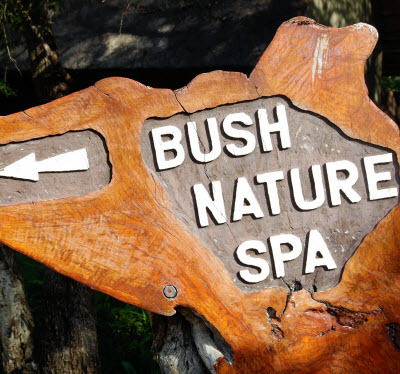 The options for adventure are endless for almost any comfort level; from sipping wine and horseback riding through vineyards to cage diving with sharks, and of course game viewing in safari vehicles. Recommended Travel Dates: September through March is a great time to travel and you’ll even enjoy longer daylight hours for more activities. Queenstown, New Zealand is known as the adventure capital of the world, and once you find out it’s also the birthplace of both commercial bungee jumping and jet boating, it makes a lot of sense. Adrenaline junkies and adventurers will feel right at home whether hiking and biking with mountain views or riding on the Hydro Attack watercrafts in the lakes. When participants are ready to wind down, whisking them away to relax in a calming north island lodge will do the trick. 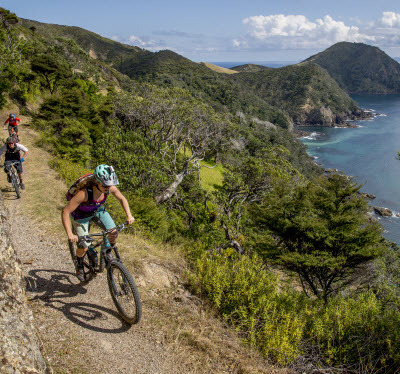 Known for its volcanic activity and beautiful beaches; the sub-tropical region of New Zealand boasts abundant vineyards over rolling coastal land. Hydro Attack – Thrill rides on a unique submersible boat that dives into and leaps from the water at high speeds. 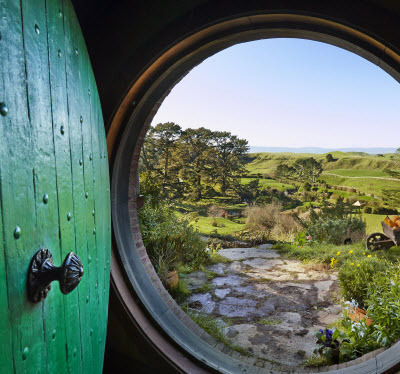 Recommended Travel Dates: Travelling in March, April, or May (which is autumn in New Zealand) avoids the busy summer holiday season, but December through March offers the most consistent weather. A split trip between Tokyo and Kyoto for your incentive group will offer a cultural experience unlike any other. 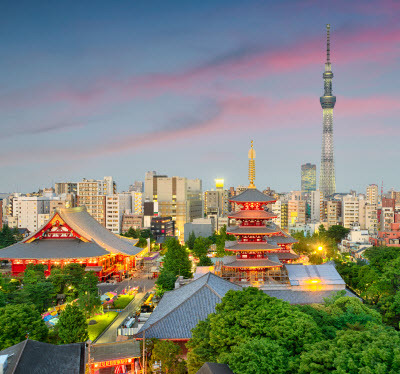 According to Lonely Planet, Tokyo is a city that prides itself on constant renewal and reinvention so it never gets old. With its neon lights and maze-like streets, it’s the perfect place to get lost in the nightlife and entertainment. From fashion to history to a famous fish market; there’s something for everyone to enjoy. 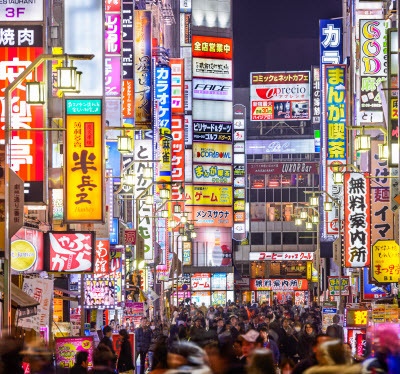 After an urban experience in one of the most exciting cities on earth, your group can travel to another unique destination – Kyoto. Kyoto has one of the highest concentrations of UNESCO World Heritage Sites in the world and boasts pristinely preserved castles, shrines, temples and mansions. The destination is a great place to immerse your group in traditional Japanese culture by partaking in a tea ceremony or trying to spot a Geisha. 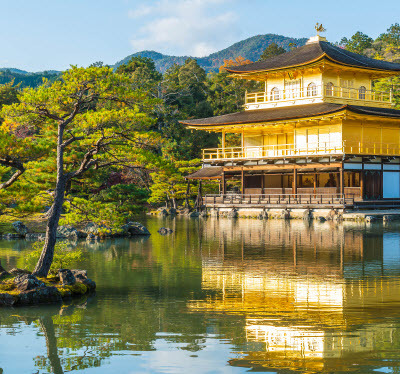 An emerging destination for many U.S. based travelers, Kyoto’s Buddhist temples, elaborate gardens, and imperial palaces are sure not to disappoint. Recommended Travel Dates: The end of March and April will allow your group to enjoy the Cherry Blossoms while October/November bring the beauty of changing leaves. 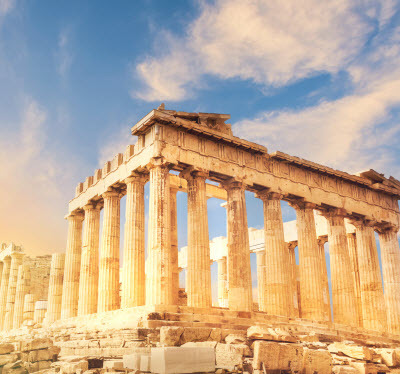 An incentive trip to Greece will allow your group to experience ancient history in the city of Athens as well as some beautiful island scenery. Because air lift can be a challenge in the off season, summer time is the best time to explore this ancient, beautiful country on the Aegean Sea. 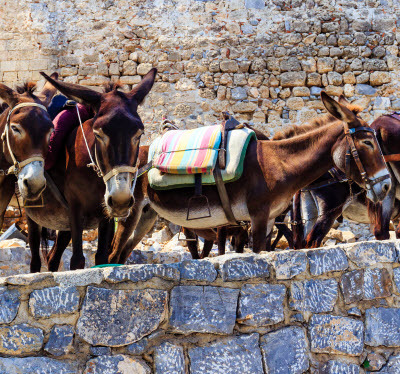 Sparkling blue water and sun-drenched ruins, donkey rides and regional cuisine are sure to keep participants’ spirits entertained and appetites fed. 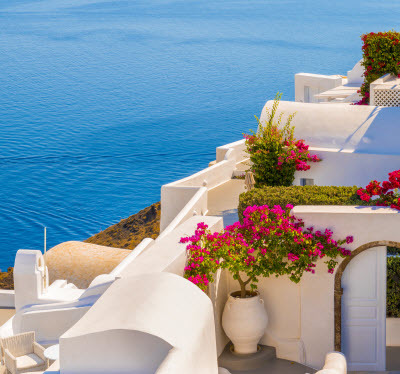 A sample itinerary could include a harbor-side welcome dinner, a tour of Knossos Palace, and a Zorbas themed dinner in a traditional Greek village. Recommended Travel Dates: Summer is the best time to bring a group to Greece. 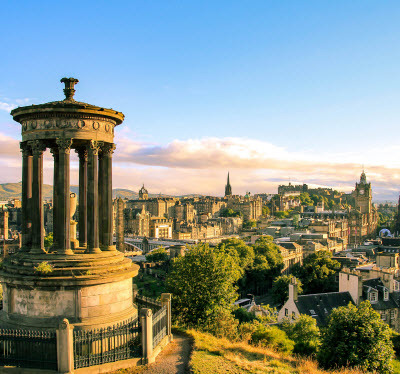 A split trip between Scotland and Ireland will give your participants double the city, double the country, and double the chance to meet down-to-earth, friendly people. 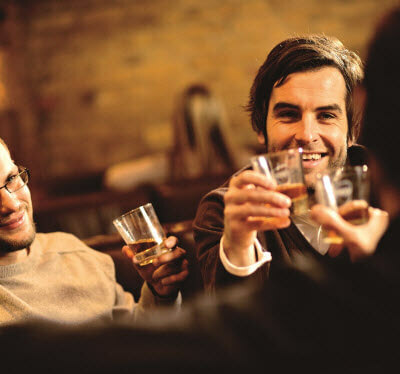 Beyond the greenery, whisky, and beer; both countries are known for their hospitable residents. There’s plenty of championship golf and world-class spas for participants looking to kick back, along with endless walking trails and castle exploration for the more curious guests to enjoy. 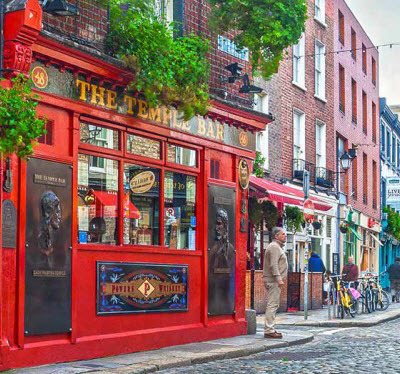 Alive with history and culture, Scotland and Ireland will immerse your top achievers in lush landscapes, local pubs and legendary hospitality. Recommended Travel Dates: Temperatures are warmer and it’s a little less rainy in May through June. Skift’s 2017 Experiential Traveler Survey found that 65% of respondents want to return from a trip having experienced something new. Furthermore, travelers want to partake in activities that are adventurous and exciting but also allow them time to relax; so finding the right balance is crucial. We hope we’ve given you some destination ideas that will motivate and inspire your audience to achieve the goals that will impact your business. Contact us for ways to customize your travel incentives and motivate your team to push the limits!